A milestone in Japanese literature, the masterpiece of Yukio Mishima, The Temple of the Golden Pavilion (Kinkakuji) on stage. 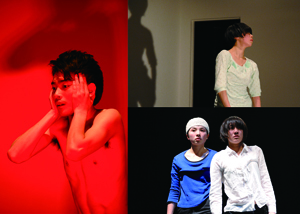 The opening piece of Kanagawa Arts Theatre, and its first production directed by the artistic director Amon Miyamoto! Booths set up by cooperating cultural institutions, embassies, and other organizations introduce a wide variety of works and dance companies to visitors from Japan and abroad. 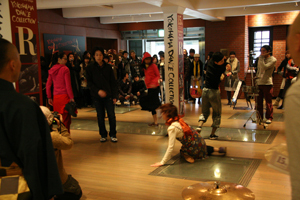 “Live Performances” in an open space, to which admission is free of charge, and the Showcase introduce and help popularize contemporary dance to a wide range of visitors, from fellow members of the dance world to tourists. 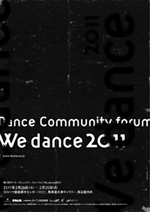 "We dance" is a dance community forum held by a NPO Offisite Dance Project annualy since 2009, aiming to contribute to activation of Japanese contemporary dance through its "artist-run" scheme. 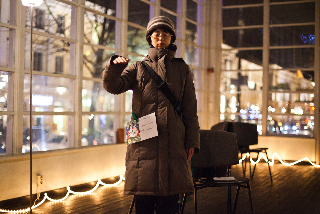 Following the one-month workshop that was held in preparation for the forum, the 15 programs in the six days includes performances, exhibitions, talk sessions. *Workshop of instrument making held (children and youth welcomed). To participate, contact the following. 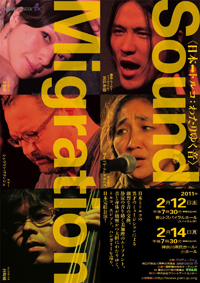 Organized by: Performing Arts Meeting in Yokohama 2011 Executive Committee, STATION co.,Ltd. Showcase performances that introduce three recent awardees of ST Spot’s dance project “Lab20” featuring: Daisuke Inoue, Kaori Seki, Makura to Joro. Artists: Reality Research Center (Saara Hannula, Pekko Koskinen, Tuomas Laitinen, Julius Elo, Minja Mertanen), Natsuko Tezuka, Megumi Kamimura, Taiyo Tochiaki, Daisuke Kishii, Yoko Ishiguro The Sacred City is a collective quest for an experience of the sacred in the urban environment. Ten artists from Helsinki and Tokyo set out to reinvent the concept, approaching it from a personal, firsthand perspective rather than through the prevailing religious and cultural contexts. The performance can be seen as their vision of a contemporary temple - a sacred place that is simultaneously subjective, cross-cultural and weblike. Work-in-progress. C - MAUSOLEUM BUFFO by andcompany&Co. The most remarkable three companies based in Berlin come to Yokohama! Through co-curation with HAU Berlin, the theater internationally acknowledged for its innovative producing work, three pieces that have received highest acclaim in the recent years are introduced.